We had the lake view two bedroom for two nights during the annual March Hot Air Ballon Festival, the view was amazing especially for watching the hot air ballon ascend. Parking was available for $10 a night per car in the B1 and B2 underground parking garage, great during bad weather day. Very comfort hotel，and great location, value for money. worth to stay again. Got everything I need in room with good condition. nice river view from room. The staff were extremely helpful with my requests for early check in and general help with organising my booking, room exceeded expectations and was massive, highly recommend. A secure property in a central area. We stayed in a two bedroom apartment which was spacious and had everything we needed. The apartment was quiet and comfortable, spacious. The position of the apartments were fantastic. We could ride our bikes straight over to the lake. Spacious apartment, great facilities.. wish we stayed longer.. tv in the bedroom and lounge room, kitchen facilities were fantastic.. the price was also excellent for what you got. Would definitely book again. The property was is a great location close to local restaurants and a little supermarket. It was right on the lake, such a lovely walk, a great place for an overnight stay with my family. 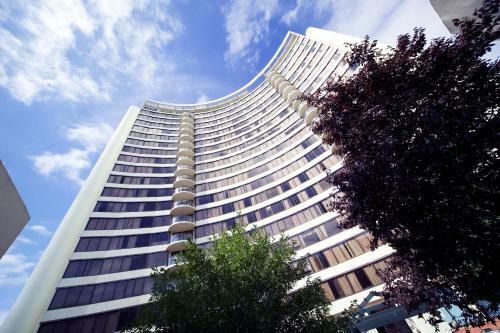 BreakFree Capital Tower Apartments This rating is a reflection of how the property compares to the industry standard when it comes to price, facilities and services available. It's based on a self-evaluation by the property. Use this rating to help choose your stay! 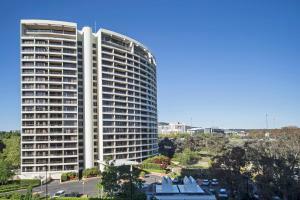 Offering a tennis court and a swimming pool, BreakFree Capital Tower is set on the Lake Burley Griffin waterfront. 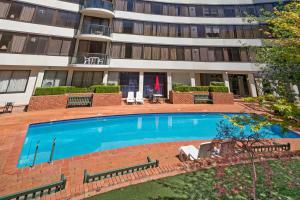 It is 5 minutes' drive from Parliament House and the National Circuit. Some rooms have lake views. Free WiFi is available in the entire property. Guests can work out at the fitness center and then relax with a soothing sauna. There is a BBQ area perfect for sharing an outdoor meal with friends. Secure paid parking is available. Each of the spacious apartments features a fully equipped kitchen with a dishwasher. All include a dining setting and a lounge area with a TV and DVD player. When would you like to stay at BreakFree Capital Tower Apartments? This spacious apartment features a full kitchen, laundry facilities, and a living area with a sofa and a dining area. Apartments with a balcony might be available upon request. 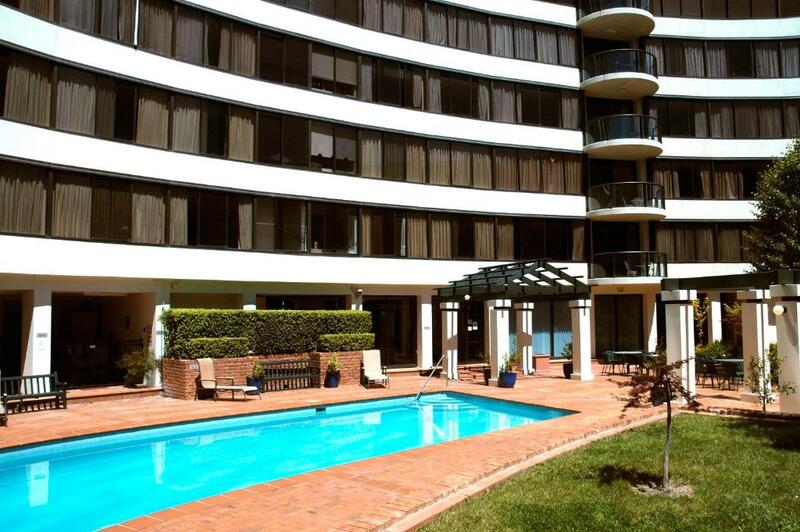 This spacious apartment features a balcony, a full kitchen, laundry facilities and 2 bathrooms. The living area features a sofa and a dining area. 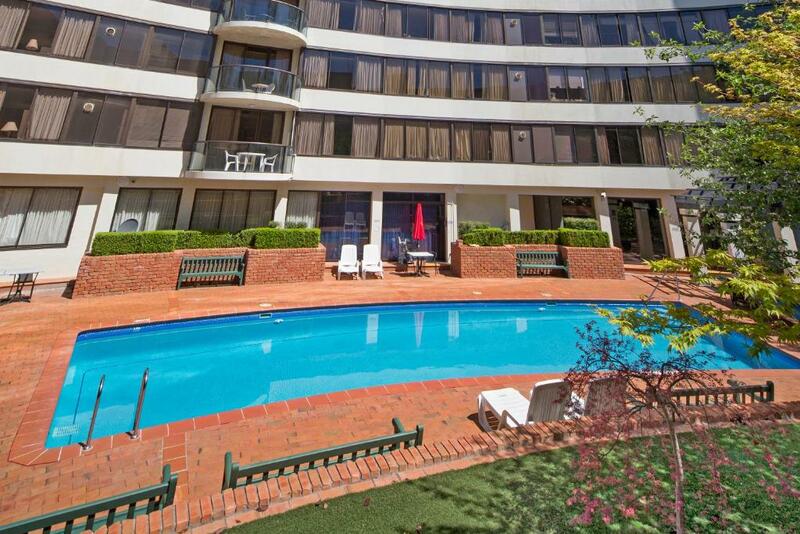 This spacious apartment features a balcony, a full kitchen and laundry facilities. It includes 2 bathrooms, a lounge area with a sofa and a dining area. This spacious apartment features a balcony, a full kitchen, laundry facilities, and a living area with a sofa and a dining area. 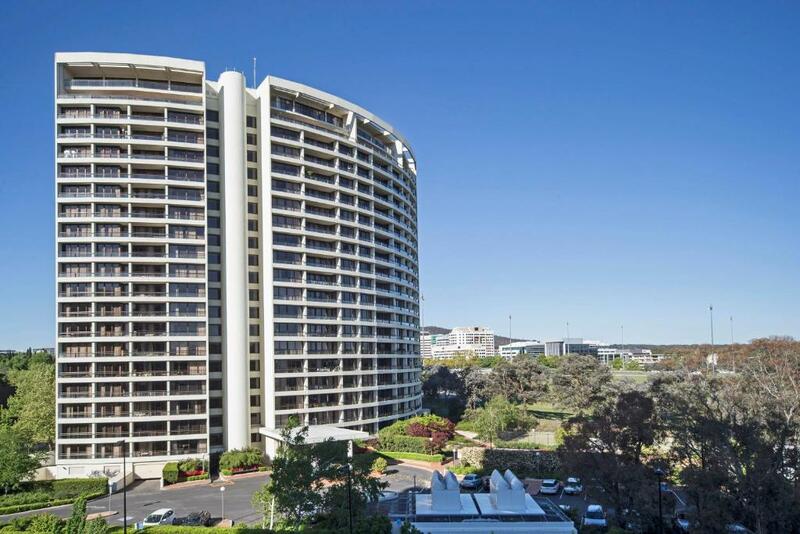 Apartments with views of Lake Burley Griffin might be available upon request. This apartment features a dishwasher, dining area and toaster. This apartment features a oven, spa bath and DVD player. 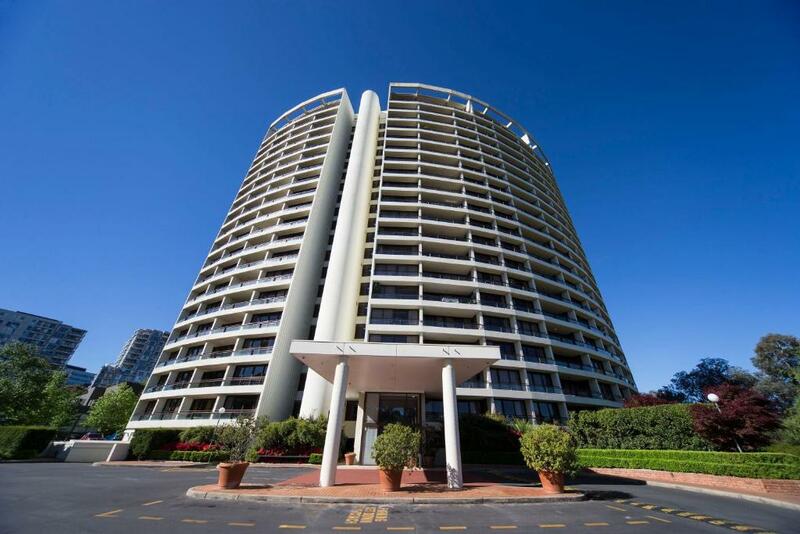 This 2 bedroom apartment offers a fully equipped kitchen and lake views. 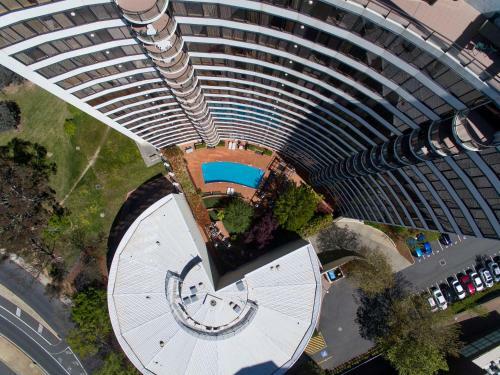 This apartment features a tumble dryer and flat-screen TV. This apartment features a tumble dryer. WiFi is available in the hotel rooms and costs AUD 15 per 24 hours. House Rules BreakFree Capital Tower Apartments takes special requests – add in the next step! BreakFree Capital Tower Apartments accepts these cards and reserves the right to temporarily hold an amount prior to arrival. You can request your preferred bedding configuration in the Special Requests Box at the time of booking. Please note that altering bedding may incur a one-off charge of AUD $15. Please note that the bedding configuration is not guaranteed and will be confirmed upon arrival, subject to availability. Please note for bookings of 5 or more rooms, different policies and procedures may apply. Please inform BreakFree Capital Tower Apartments of your expected arrival time in advance. You can use the Special Requests box when booking, or contact the property directly using the contact details in your confirmation. Upon arriving to our room, the kitchen bench, wall and drawers were covered in ants. Rang reception asking for spray, but they had none. Ants were cleaned up but returned. We were moved to another room at 9pm, however upon arriving to our new room, the kitchen and bathroom had ants everywhere as well. Apparently there were no other rooms to move to after this, not impressed at 9.15pm at night with 2 very tired children. Spray was eventually found to kill the ants. Woke in morning and ants were back, not what you need in a kitchen when eating. Apartments are very tired and need refurbished. Upon leaving the carpark, the car did not open the gate to leave. It was one thing after another. It was very dated and depressing. The colour scheme was brown and the walls were bare. The shower was hard to operate and poorly designed. There was limited sound proofing so I was woken frequently by other guests. Clean stylish classy suitable for all types of vacation. Great facilities. Good location. Room was dated, aircon not working, paint peeling off cupboards. Location and view were great. 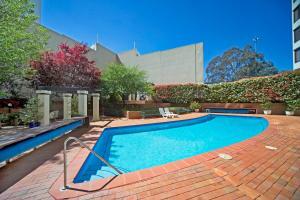 Close to parks, transport and restaurants. For $800 for two days, I don’t expect to stand in an old bathtub and crouch down under a tiny shower. Left was not working so only had access to one lift, and was staying on 17th floor. Building is old and in need of major upgrade. Too many issues to list. Reception staff don’t understand customers service, after paying for over priced room, a request to be upgraded to a room with a proper shower I was advised that I could pay the difference, even though they had availability. Locality, views, onsuite and apartment layout. Dated kitchen and bathroom, out of service lifts. Close to the city, great breakfast place across the road. Only one lift was working and the building has 20 floors! Hard to walk down the stairs with a toddler and newborn baby. Comfy bed, full equipped kitchen. 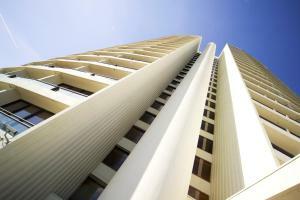 Great location, good facilities Big apartment.